The period after a wrongful death accident is extremely hard on the survivors. Grieving is one of life’s most difficult challenges. Nothing is like it had been before. During this time, the survivors will face a new set of decisions that they have to navigate, usually without any experience of them. The LA Injury Group’s wrongful death lawyers and attorneys in Los Angeles can work to make this harsh time just a little bit easier. In many ways, representatives of insurance companies can make it even more difficult. It’s natural to think of the insurance company as your friend. After all, they’re there to “insure” you in case something bad happens to you. It’s right in the name. However, in the wake of a wrongful death, the insurance company isn’t really your friend. Anyone you meet from the insurance company is there for one purpose and one purpose alone: to make money for the insurance. The wrongful death lawyers and attorneys in Los Angeles at the LA Injury Group want you to be aware that if the insurance company can make money by denying your claim, they’ll do. The insurance company may try many different tactics and techniques to not have to pay as much for your wrongful death claims. It’s important to keep in mind that everyone who works for the insurance company isn’t “out to get you,” they’re just doing their job. Unfortunately, as the LA Injury Group shows, their job is to make sure that the insurance company has to spend as little money as possible. For most people, particularly the survivors who lost a loved one in a wrongful death accident, the first time they deal with the insurance company is when the company sends a representative to offer a settlement. In many cases, the company does this as quickly as possible. They can have someone to offer you a settlement lightning quick. It can seem like this is done so that you can get the most amount of money to help you through the grieving process. However, it’s really anything but. Usually, the insurance company offers a very low ball, small number well below what your claim could be worth. They want to offer it to you before you seek legal representation so that you’ll never find that out. They’re counting on you to be so caught up in grief that you’ll just sign the first form they put in front of you. However, this is the exact moment (if not sooner) that you should contact wrongful death lawyers and attorneys in Los Angeles. The LA Injury Group can inform you whether or not the settlement is a good one. When it’s offered right after the accident, in all likelihood, it isn’t a good settlement. The insurance company, with all of their resources, researchers and the like, know what a claim is worth. Even if they don’t have the exact number, they have a very close guess. So, they know whether they’re low balling you or not from the very moment the offer was presented. Remember, even if they offer you what seems like a large settlement initially, they’re still low balling you. Offering a large settlement quickly just means that the insurance company knows that your claim is worth a lot. The LA Injury Group can sit down with you to figure out what the best plan of action is. They can tell you whether or not the settlement you’ve been offered is a good one. On top of that, they can guide you through the process so that the insurance company doesn’t take advantage of you. There’s many different ways that the insurance company tries to get around their responsibilities. The LA Injury Group can be by your side so that they don’t get away with. Delaying is one technique that insurance companies sometimes use after you’ve hired an attorney. Sometimes, they’ll try to get you to delay or otherwise put off filing a claim. There are statutes of limitations on wrongful death cases. Sometimes, insurance companies hope to delay you in hopes that you’ll give up or get frustrated. Oftentimes, they may hope to run out the statute of limitations. Sometimes, they even pass the claim from adjuster to adjuster, hoping to lose you in the extra work. Wrongful death lawyers and attorneys in Los Angeles can be by your side, helping every step of the way, so that you never get caught up in the insurance company’s tricks. The insurance adjuster you talk to may be sympathetic to your case. They may absolutely understand what you’re going through, and genuinely empathetic. However, it’s so important to keep in mind that what you want and what they want are exact, polar opposites. You want the money that you deserve for a loss that can never be made up for. They want you to get as little money as possible from the insurance company. You always must keep this in mind when talking to them. In fact, many people find it extremely stressful to deal with the insurance company after suffering a wrongful death loss. That’s just one more reason to get with the LA Injury Group. Then, the insurance company can’t just approach you alone – you have someone on your side. They have to go through your attorneys, too. That way, you have someone on your side that’s representing your interests – and not those of the insurance company. Insurance companies have a lot of tactics on their side that can give them the upper hand in a case, which makes having wrongful death lawyers and attorneys in Los Angeles on your side all the more pressing. For example, should your loved one have passed in an accident, there will be an investigation, by the cops and by the insurance company. Often, these insurance company “investigations” deserve the quotation marks, as they’re just shams. The insurance company doesn’t really investigate; they just say that the insured party had nothing to do with it, and leave it at that. However, the LA Injury Group can do their own investigations. In fact, they can do a complete and thorough investigation that can discover who was really at fault. This complete investigation can lead no stone unturned, and moreover, is done by advocates for you. So, they’ll be looking for all the evidence, not just the kind that helps the insured party. For example, say that your wrongful death case occurred because of a truck accident. So, the LA Injury Group’s investigation looked at everything about the crash site: the skid marks, the vehicles… as well as the truck driver. Maybe they had a history of reckless driving and substance abuse. Maybe their license had expired, that kind of thing. The insurance company’s investigation might not turn that up. If you went with a lesser law firm with fewer resources, they might not be able to provide you with so thorough and deep an investigation. It’s just one more way that the LA Injury Group can give more back to their clients. 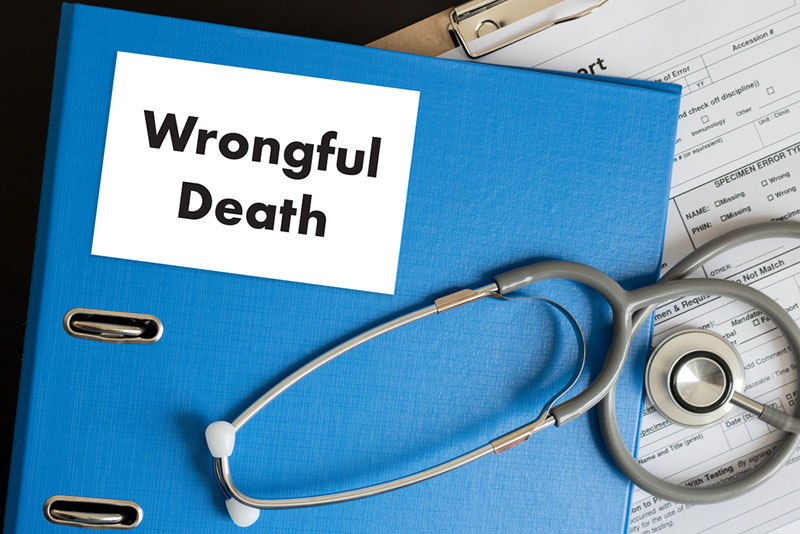 The LA Injury Group can handle wrongful death accidents no matter how they happened. Attorneys there specialize in car accidents, motorcycle accidents, bicycle accidents and more. Moreover, they know how to deal with insurance companies (and others) in wrongful death cases. They can help you to get the best settlement possible for you and other survivors. They can put that experience to work for you today. Give them a call at (818)210-4558 or go to their site for wrongful death lawyers and attorneys in Los Angeles.